Walking through a garden path that ends at a flowing creek and trickling waterfall is one of the most relaxing things you can do at the end of a long day. Not only that, they can take your yard to a whole different level from a visual perspective. There are many different kinds of paths that may be the best for your yard! Mulch Paths – These paths are the most basic. They will create a beautiful natural path that can lead the way through your yard. A few things to watch out for are heavy rainstorms because they can wash away your mulch path pretty easily. Gravel Paths – These paths are more resilient than mulch paths, but they also cost a little more. Look into getting pieces of gravel that are mainly under 1/2in. This will create the most comfort for walking as they settle in with each other nicely. They are best for a garden path away from your doors. Be careful when putting a stone path leading up to an entry way, because the stone can easily be tracked into your house. 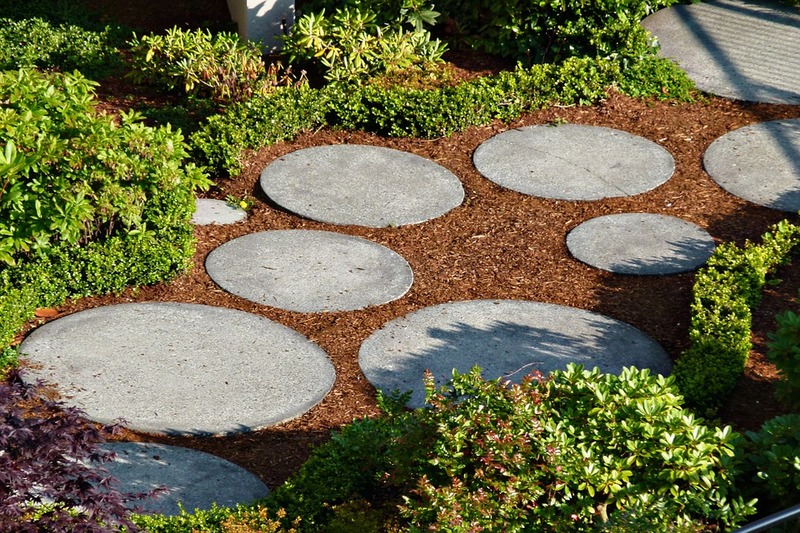 Stone Paths – These paths are some of the longest lasting and ultimately one of the cheapest. You will have to pay more upfront for good looking stones, but once you pay the initial cost there is little maintenance to be done. They look great with grass growing around them but be sure to place them around one inch from the soil level. This will give your mower enough space to go over them and keep your feet dry if it’s raining! There are many path items to choose from, and if you’re having trouble one of our best designers at Hutcheson Horticulture can help. Let’s make a great path!